Lay-In Strain Relief Bushing - Bolt Products Inc. Assembly friendly. Independent of insertion into the panel, Lay-In Strain Reliefs self-lock onto the cable. Thus, they may be preassembled offline for final assembly at a later time or remote location, for lower installed cost. Designed to be installed in split panel mounting hole or dropped into a slot. Unique wire locking ratchet allows for generous wire range from 0.250 (6.4 mm) to 0.600 (15.2 mm). Protects against forces of pull, push, or twist. 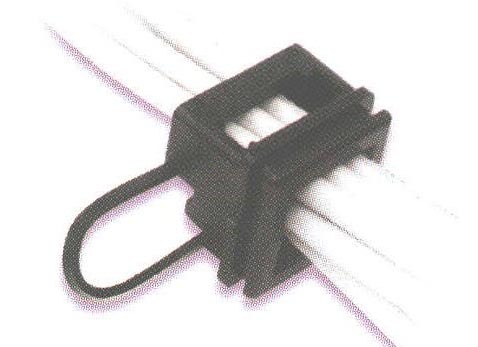 Can be used for one cable or bundles of cables (round or flat wire).